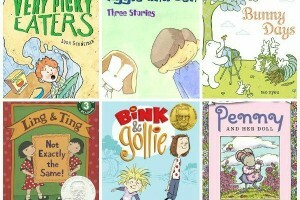 These book lists feature "easy readers" which are usually, but not always, leveled books aimed at kids who are learning to read. You will find books appropriate for both very beginning readers as well as kids who are just about ready to move up to chapter books. Your child's teacher or a local librarian can help you find more titles that are just right for your child.